This blog post will help explain the General tab Core Design Options section of Doodlekit's Template Design Tools. 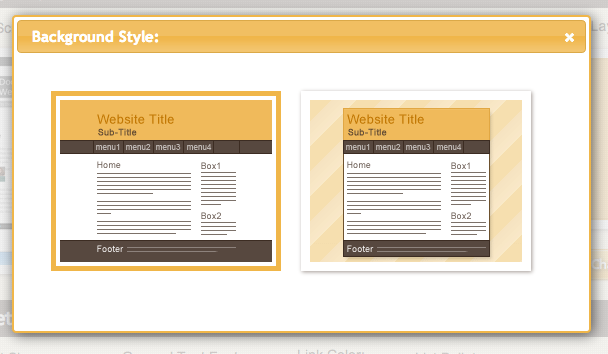 This shows a thumbnail image of your website with the currently selected template. You can click this image to select a different template if you wish. This shows the currently selected 'background style'. There are two options for background styles: stretched and contained. With a stretched background, your background colors and patterns for each section of your website stretches to fill the whole screen. The content remains contained however at 960px width. With a contained background, your background colors and patterns for each section stay within the 960px width of the content. You can apply a separate background pattern and color behind the contained area of your website in the website body itself. Pick how you want your website content laid out. You can have horizontal menus or vertical menus. You can have no sidebars, one sidebar, or two sidebars. Pick any combination of these for your website's layout. Sidebar content is static and shows on every page. Page content changes for each page. This is the amount of space between a pages and sidebars. You have two options: Normal or Large. Normal is the default amount of spacing, and Large gives you a bigger gap between them. This is useful for templates that do not have any borders or different background colors for their pages and sidebar boxes. 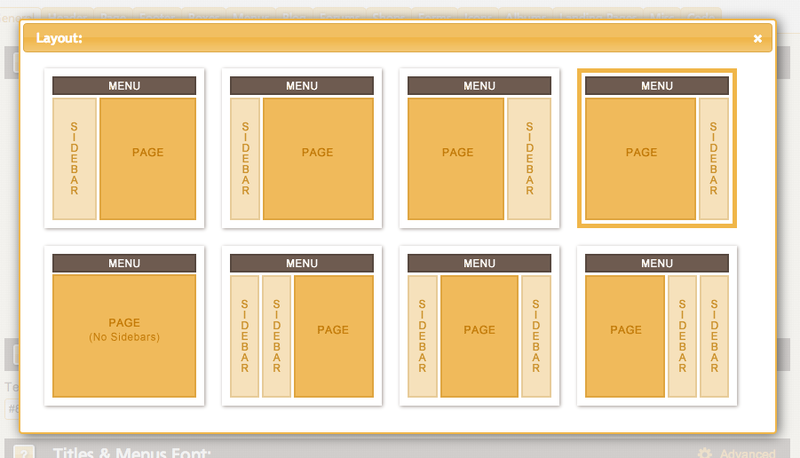 To help separate the content better on templates like these, you probably want a larger space between them.